Makaton is a language programme that uses signs and symbols to help people to communicate. It is designed to support spoken language and the signs and symbols are used with speech, in spoken order. In the UK, the signs used in Makaton are from British Sign Language (BSL), which is the language of the deaf community in Britain. The symbols are simple black and white drawings that show what words mean. They make it easier to communicate a message and can be used by people who prefer not to sign. Speech is also used alongside the signs and symbols. If someone is communicating using Makaton, you may hear them speaking out loud and see them signing at the same time. 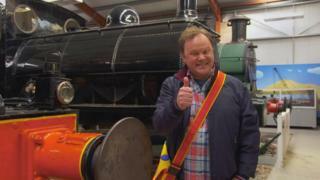 Makaton is used by CBeebies star Justin Fletcher in his show Something Special with Mr Tumble. Makaton is used by different people for different reasons, and can be used by both adults and children. More and more young people are now using Makaton to communicate before they have learnt to speak. Research shows that young children actually want to communicate before they're able to talk, so Makaton allows young toddlers to say what they want through signs and/or symbols before they've learnt how to speak the words for what they want. It helps them to develop their communication skills by encouraging them to put words together. It can also be used by people who have difficulties communicating verbally or by those whose speech is perhaps unclear. This includes those with long-term speech difficulties, who may use Makaton for their whole lives. 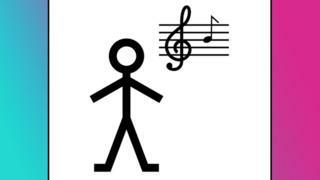 The Makaton Charity explains: "Today, over 100,000 children and adults use Makaton symbols and signs. It enables individuals to connect with other people and the world around them." What is the difference between Makaton and British Sign Language (BSL)? The charity says: "Makaton is designed to help hearing people with learning or communication difficulties." It is different to BSL because it uses speech alongside the signs, and it also uses symbols. Meanwhile, BSL is the language of the deaf community in Britain. Like with many languages, it is constantly changing and evolving, and it also has its own grammar rules and word order. It can also change depending on where in the country you are from. The order of words used in Makaton is the same word order of spoken speech, and it is the same all across the country. Should everyone learn sign language?